J.D. Sport is a leader in the area for team apparel. Our trained staff can provide your team with uniforms, footwear, warm-ups and spirit wear to keep your team looking good on or off the field. From elementary to high school, college to local recreation leagues, J.D. 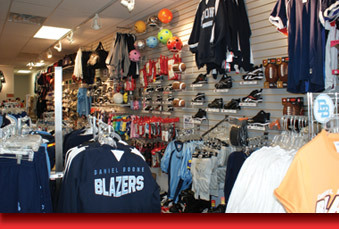 Sport can outfit you with name brand apparel designed to meet the demands of players from every level.